Employee performance allows you to track your employees' performances throughout the month. 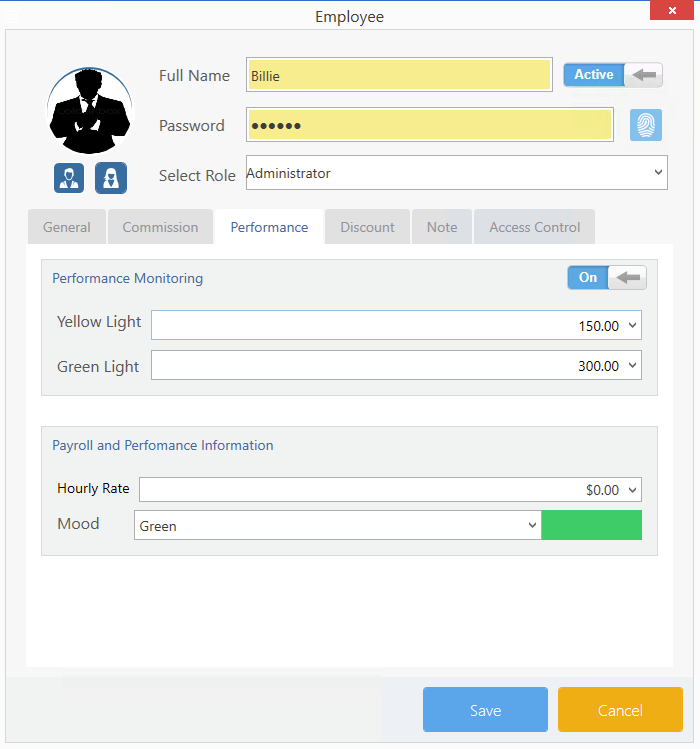 You can enable employee performance for some or all employees working in your store. Then, click on the Employee list icon. Click on the pencil icon from the options menu to edit the employee. Click into the Performace tab. Toggle the Performance monitoring button. Right click anywhere in the software to access quick links. Click on the employee performance quick link. The Performance of all the active employees will be listed with the light amounts.